Uttaranchal or Uttarakhand is located at Latitude of 28�43' N to 31�27' N and in longitude it is between 77�34' E to 81�02' E. This state is located at northern part of India and famous for its hilly regions and pilgrim places of Hindu religion. The Char Dham Yatra the most scared pilgrimage for Hindus is located in this state. This state has 13 districts and 78 tehesils. Dehradun ( Dehra Dun ) is the capital of this sate. The state has nearly 70% of its area under forest cover and the main crops include rice, wheat and Barley. 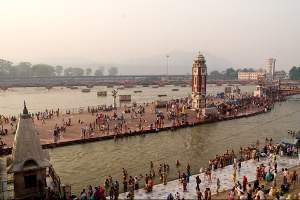 The confluence of river Ganga and Yamuna is know as Prayag and this place is located in the state of Uttara Pradesh. Similarly in the upstream there are many such confluences and these are located inside the state of Uttrakhand. 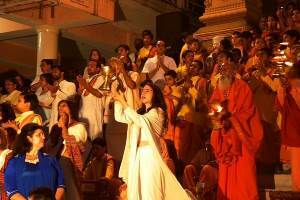 These places have high religious significance and have many pilgrim places around it. Here are some of the important places famous for two rivers joining. Nandaprayag the confluence of Alaknanda & Nandakini river. Devprayag the confluence of Alaknanda & Bhagirathi river, from here the river is officially known as the Ganga river. These rivers pass through some famous religious places before the confluence and finally river Ganga & Yamuna flows out of the state. 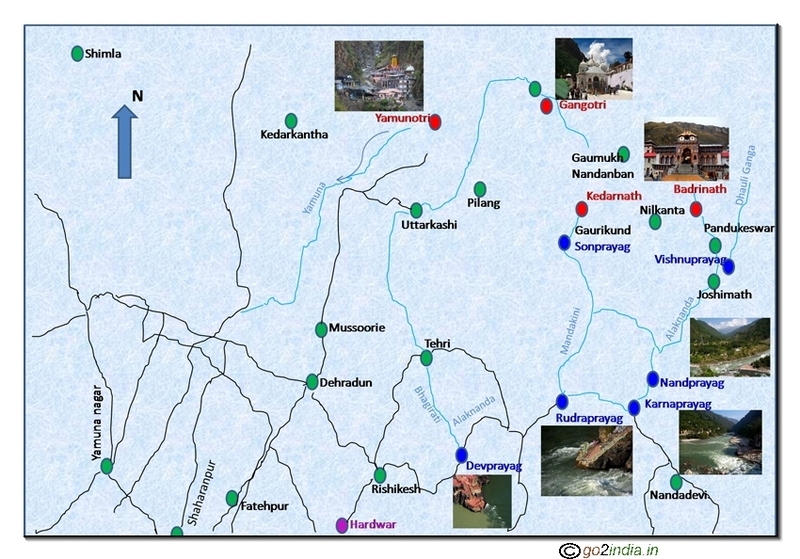 Different glaciers are the origin of these rivers. The famous Bhagirathi river passes through Gangotri temple ( one of the Char Dham Yatra) originates from Gaumukh glacier. River Alaknanda starts from the Alakpuri glacier and passes through Badrinath Dham. River Mandakini passes through Kedarnath temple. 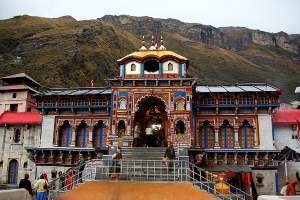 Hindus from all part of the world visit this state for a trip to Char Dham or four religious temples located inside this state. Not only Hindus but all nature lovers visit these places for the scenic beauty of the snow capped hills, rivers etc. 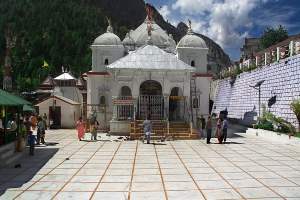 The four temples are Yamunotri, Gangotri, Kedarnath and Badrinath. 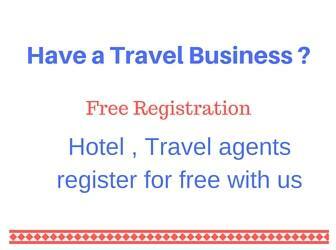 By visiting to these places one will cover most parts of Uttarakhand state and will have a life time experience of Himalayan culture and life style. This religious tour is operational only during April to October months of the year. Out of the four place road connectivity is not there at the last phase for two temples. 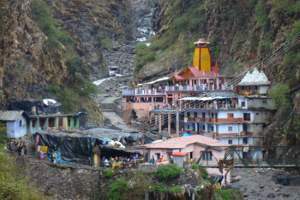 Read more on this Char Dham tour here. Probably the entire state is a hill station but some places are popular among Indian tourist so got the special mark as hill station. There are two popular places; one is Mussoorie in Garhwal Himalaya and Nainital in Kumaon region. Both these places are well connected from Delhi. 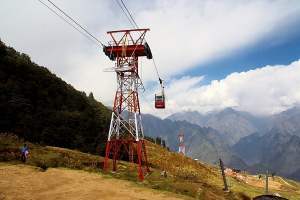 There are other places like Auli ( winter sports and Skiing ), Chopta, Ranikhet, Joshimath and many other places which attracts trekkers and nature lovers from all part of the world. 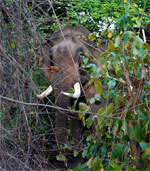 Garwal region has some beautiful peaks which attracts many trekkers and mountaineers to this region. The highest among these peaks are Nanda Devi at an height of 7817 meters. Other peaks are Neelkanth ( 6597 meter ), Mana peak 7272 meter, Trisuli 7074 m, Chaukamba 7138 meter, Dunagiri peak 7066 meter. 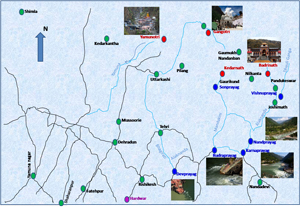 For location, route map and distances of major tourist visiting places in Uttarkhand, click the first image at the top.